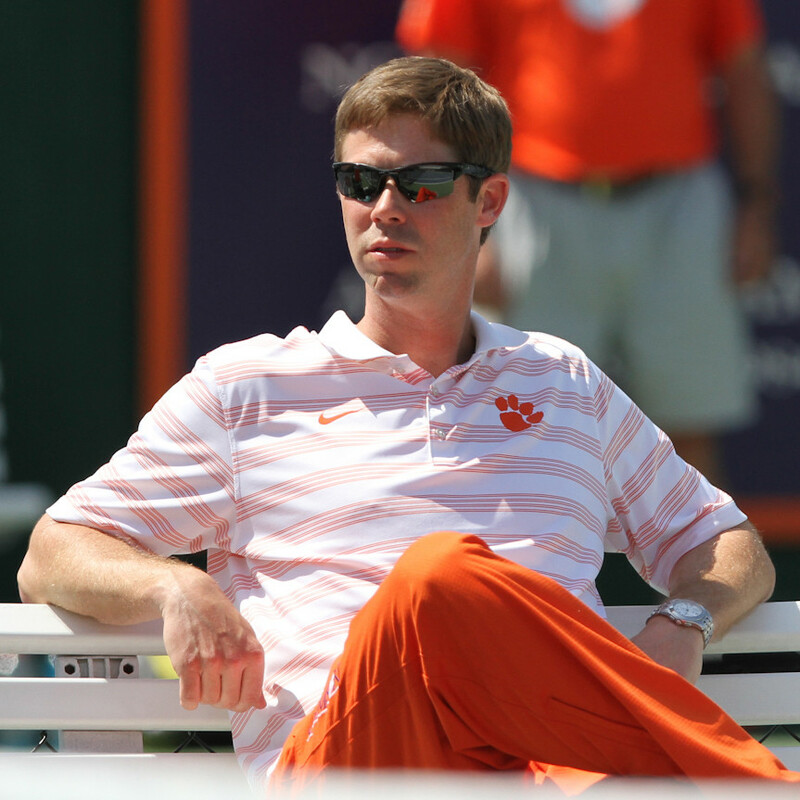 The Clemson men’s tennis program, led by coaches Chuck McCuen and John Boetsch, continues to place players in futures tournaments around the world. This week, Hunter Harrington advanced to the second round of the singles main draw at the Linda Bogdan Memorial Futures Tournament in Rochester, N.Y. this week. Harrington will play his second round match later this afternoon. Last week, Alejandro Augusto won three matches and advanced to the qualifying bracket in the Aceites de Oliva de Espana futures tournament in Spain. Also last week, Harrington played in the Sargent & Collins, LLP Men’s Futures today. Harrington and partner Alexios Halebian advanced to the semifinal round of the doubles main draw in the Charlottesville Futures tournament, played at the University of Virginia last week. Harrington, who was a captain on last season’s team and recently graduated, is one of a handful of ACC men’s tennis players who played in the Charlottesville Futures, played at the University of Virginia a few weeks back. Harrington and Austin Ansari, a junior on last year’s team, played in the Futures of Winston-Salem tournament. Harrington was the top seed in the qualifying bracket, advancing to the second round before falling. Augusto, the team’s co-captain last season, entered the doubles bracket in the V Internacional Rozas Club in his native Spain a few weeks ago. He, and partner Pablo Vivero Gonzalez, advanced to the quarterfinal round before falling. Luke Johnson, another junior on last season’s team who played with Harrington at No. 1 doubles at the end of the season, played in two tournaments in his native England. Johnson advanced to the semifinal round in the singles bracket of one, and won the other. Former player Yannick Maden, a 2013 Clemson graduate, is ranked 496th in the ATP rankings and is in league play in Austria.